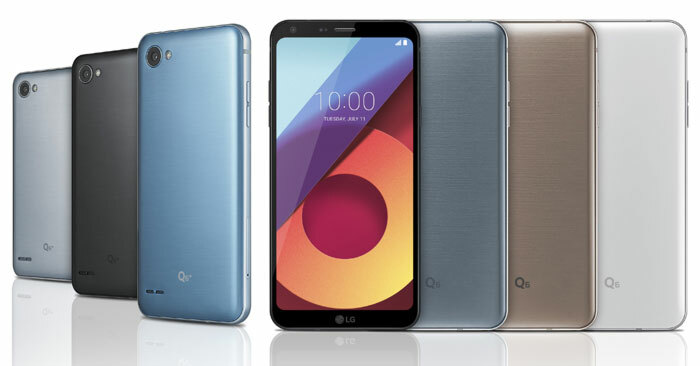 LG today announced the LG Q6 series of mid-range smartphones. This trio of devices brings the 18:9 aspect ratio FullVision display, which debuted on the LG G6 at the MWC in February, to various more accessible price points. Of course there have been some spec chops, as you would expect, and we will look at the full specs later. 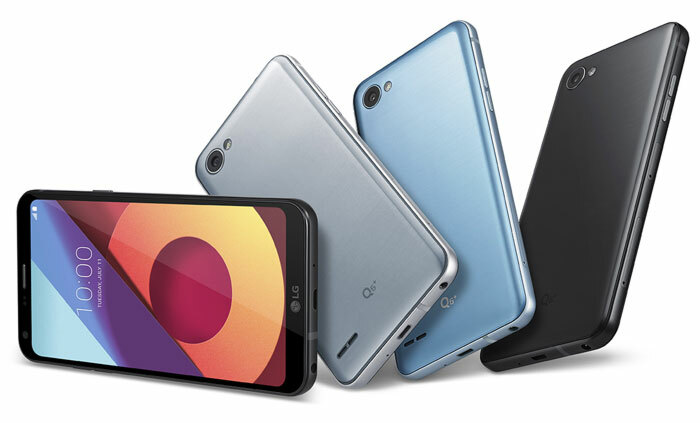 The LG Q6 family consists of the Q6+, Q6 and Q6α. With these names you might expect them to vary in screen size, but that is not correct these three models are very much the same and only vary in the amount of RAM and storage that is installed. In precise terms the Q6+ comes with 4GB of RAM and 64GB of storage, the base Q6 delivers 3GB of RAM and 32GB of storage and the most affordably-priced Q6α comes with 2GB RAM and 16GB of storage. So the top specced Q6+ matches the top LG G6 in this respect. LG delivers its 18:9 FullVision with minimal bezels to the mid range but it is scaled down a little from the flagship. The 18:9 display still provides the double square UI appeal but it's scaled down a little in size, and in resolution compared to the flagship. All the Q6 range offer a 5.5-inch FullVision display (rather than 5.7-inch) with 2160 x 1080 / 442ppi (rather than 2880 x 1440 / 564ppi). Looking at the processor behind the LG Q6, LG has opted for the Qualcomm Snapdragon 435. 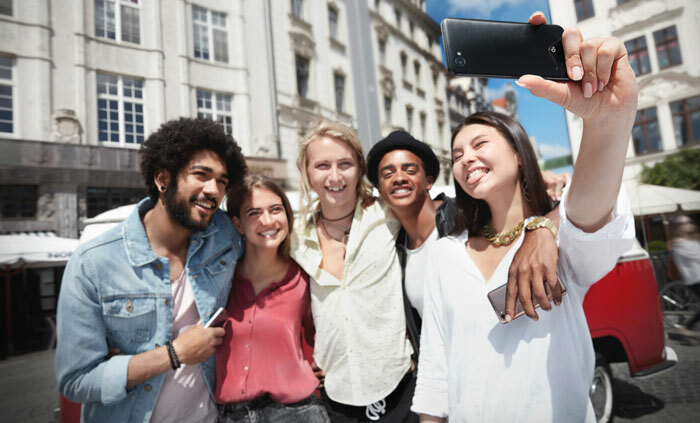 This is a 28nm octa-core ARM Cortex A53 based SoC with clock speeds of up to 1.4GHz, with graphics acceleration from an Adreno 505 GPU, plus the Snapdragon X9 LTE modem offering peak download speeds of 300Mbps. That's rather less powerful than the LG G6 with its Qualcomm Snapdragon 821 Processor. The last significant cut from the flagship is to the camera system on board. The LG Q6 series include a rear 13MP standard angle / front 5MP wide angle camera pairing. That's quite a step back from the rear dual 13MP camera system on the G6 which includes nice features such as OIS 2.0 and wide/standard zoom viewpoints. Elsewhere in the LG Q6 design LG has graced these smartphones with a minimalist, durable 7000 series aluminium body. The phone can be unlocked easily and conveniently with fast facial recognition tech. In an email to HEXUS, LG said that the Q6 series will arrive in Asia next month and then rollout to Europe, Latin America and North America will follow. I've noticed that since its launch the flagship LG G6 has had its price reduced significantly by retailers. Via various European Amazon stores, from Italy for example, it's possible to snag one for under £400, and those willing to import from Hong Kong can spend as little as £312 to purchase one. So these new Q6 series smartphones will have to be pretty competitive to sell in numbers.